With a simple click, you can begin incorporating the latest Spring technologies. Genuitec, maker of productivity tools for developers, announces enhanced Spring tooling support for the MyEclipse IDE. 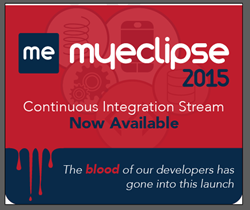 The MyEclipse 2015 CI 5 stream now lets developers add the Spring 4.1 facet to projects. With a simple click, developers can begin incorporating the latest Spring technologies into projects. Spring-related Maven configurations enable users to add Spring 4.1 to Maven projects with ease. MyEclipse 2015 CI will even auto-configure the dependencies in the Maven project. Expanded support for the Spring Web Flow 2.4.0 and Spring Security 3.2.5 libraries is also available. For IBM WebSphere shops, MyEclipse 2015 CI 5 includes support for WebSphere Portal Servers 6.1, 7, 8 and 8.5. Enterprises with WebSphere development requirements can code for WebSphere while seamlessly integrating popular tools and technologies available through the MyEclipse IDE. Other updates to the MyEclipse 2015 stream include key fixes to PhoneGap support and a new metrics report. The #CoderLife report delivers individualized metrics on how a developer uses MyEclipse. 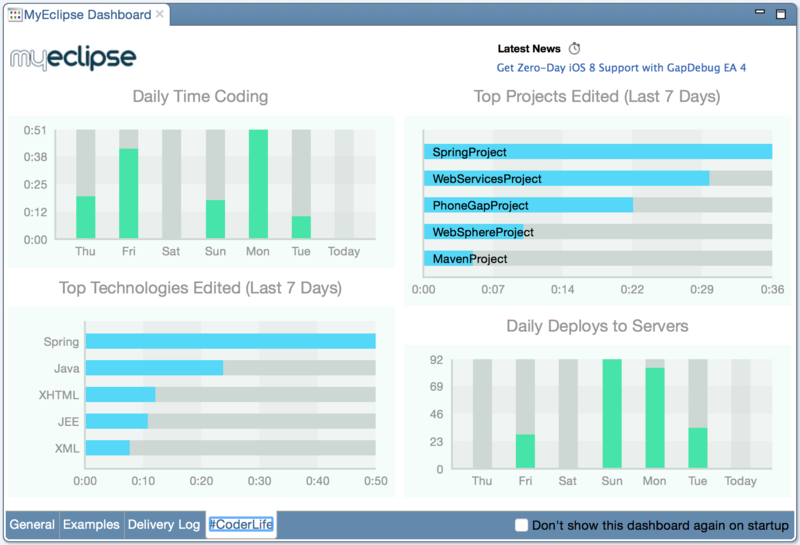 This simple report gives developers a quick snapshot of coding behaviors and is accessible in the #CoderLife tab of the MyEclipse Dashboard. Subscriptions to MyEclipse start at $32 annually with options for advanced add-ons available, including IBM WebSphere and Spring connectors, and enterprise management options. For a detailed look at all MyEclipse options, please review our Features page. MyEclipse is available for download as a complimentary 30-day trial or for purchase at: https://www.genuitec.com/products/myeclipse/. Today, Genuitec supports one of the largest developer communities for commercial Eclipse tools. Customers benefit from Genuitec’s ongoing commitment to open standards and to the continual enhancement of the MyEclipse, Secure Delivery Center, PiPlug, and GapDebug product families with unique innovations and low subscription pricing.